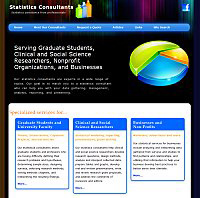 A redesign of a long-established website featuring professionals available for statistics consulting as well as services for statistics dissertations and theses. The look has been greatly modernized with this update. Currently handling maintenance and updates, along with the site owner. 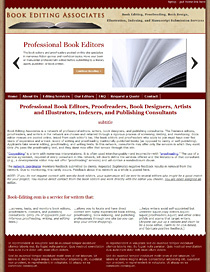 A redesign and reorganization of a long-established website featuring a collection of freelance book editors, proofreaders, ghostwriters and more. The design will greatly update and modernize the website's appearance and style. Currently handling maintenance and updates, along with the site owner. 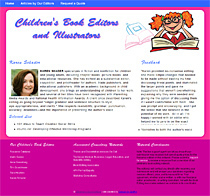 New site creation for a network of editors specializing in children's literature and illustration. Site owner wanted a fun and colorful, yet simple design. Part of the A+ English, LLC network. Currently handling maintenance and updates, along with the site owner. 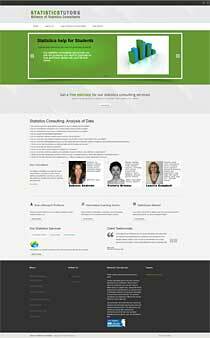 Redesign for a site promoting a network of statistics professionals offering consulting services to students, researchers and businesses. Currently handling maintenance and updates, along with the site owner. 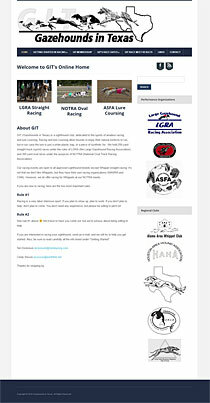 Site for a Nutritionist and Massage Therapist located in Arlington, TX. DBG created the template and site structure - the business owner is adding the content to the templates. 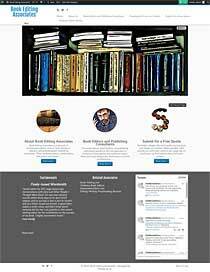 Redesign of an established site for a network of editors specializing in medical writing and editing services. DBG has been handling site updates/maintenance on a regular basis and then was retained to put a fresh face on the site design.